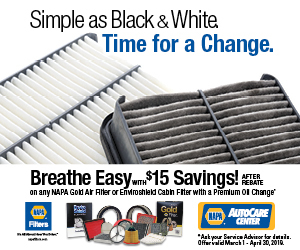 Why should you choose a Napa AutoCare center over another mechanic? We deliver the quality consumers expect at our affiliated AutoCare Centers, where the Peace of Mind warranty offers 12-month/12,000 mile protection on qualifying parts and labor. If you use your NAPA VISA Card, the warranty is expanded to 24 months or 24,000 miles. Do I have any credit options for expensive repairs? Many of our member facilities offer “90 days same as cash”. Just ask at the location nearest you.